MedicareWire has defied convention in the Medicare insurance market with the release of its new 2019 Medicare Advantage Plans service. Further information can be found at https://MedicareWire.com. Earlier today, MedicareWire announced its new 2019 Medicare Advantage Plan Finder service, which has helped over 2.5-million seniors since October, 2012. The main aim is to let seniors see all Medicare Advantage plans available in their area, including all costs (e.g., premiums, doctor visit co-pays, deductibles, and out-of-pocket limits)…. but it does so, with a difference. So as a welcome breath of fresh air, MedicareWire shows seniors all plans available to them, including all of the information they need to make an informed choice. MedicareWire chose to make this move because it advocates for senior’s rights, including the right to have free, unfettered access to information about their Medicare benefits and plan options. The nation’s largest health insurers, including UnitedHealthcare, Humana, Aetna, Cigna and Anthem are all competing in new markets in 2019, offering more choices in hundreds of counties. This is expected to both increase the total number of seniors enrolled in Medicare Advantage plans, and see more seniors switch plans than ever before. This Annual Election Period is expected to enroll over 22 million beneficiaries in a private health plan for 2019. The number of Medicare Advantage plans grew by nearly 20% to 3,700 in 2019, up from 3,100 in 2018. According to the Centers for Medicare & Medicaid Services (CMS), “More than 91% of people with Medicare will have access to 10 or more Medicare Advantage plans in 2019, compared to nearly 86 percent in 2018.” The benefit of increased competition is most noticeable in small, rural counties that previously had no plan offerings or plans from a single carrier. UnitedHealthcare, The nation’s largest health insurer, is expanding its plan offerings into 130 more counties. For 2019, UnitedHealthcare will offer Medicare Advantage plans in 47 states and Washington D.C. Humana is expanding its popular HMO plans into 97 new counties and its premium PPO plans in 352 new counties. Anthem, the largest insurer under the Blue Cross Blue Shield banner, is launching its plans in 150 new counties. Even as it works to complete its merger with CVS Health, Aetna launched Medicare Advantage plans with prescription drug benefits in 358 new counties. It’s expansion pushes Aetna into six new states, and represents the most significant expansion of Medicare Advantage in the company’s history. Cigna expanded into Florida, offering seniors two additional Medicare Advantage plans in the state. Florida is also fresh target for Anthem and Humana, both scrambling to snap up doctor practices and clinics and regional health plans in the Sunshine State to complement their Medicare Advantage plans. Medicare Advantage plans, also known as Medicare Part C, contract with CMS to offer health insurance and provide extra benefits and services to seniors, such as managed care, telehealth, prescription drugs, vision and dental care. 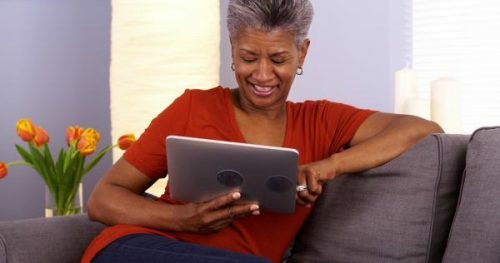 Seniors can use the Medicare Advantage Plan Finder at https://medicarewire.com/medicare-advantage/ to find and compare plans in their local market. The Medicare Annual Election Period (AEP) starts October 15 and ends December 7. During AEP seniors can join a Medicare Advantage plan or renew their existing coverage. New plan elections begin January 1.